Goals, and we need them everywhere! Five games remain in this disaster of a season for Everton Football Club. Five games against clubs all currently below us in the league table. Five games that could yet see fifteen points gained and if other results went our way, we’d be in a position to qualify for next seasons’ Europa League. What are the odds or chance of that happening… other than ridiculously long and no sodding chance as to be not worth computing. Why? Well apart from having conceded far too many, we simply do not score enough goals. Like it or not, Everton absolutely need to be competing in European football every season. The Europa League is patently and by some margin the less prestigious of the two competitions when compared to the Champions League, but beggars can’t really be choosers and right now we’re absolutely begging to be involved in Europe next season. And from a financial standpoint, no involvement in the Europa League next season could or will cost the club somewhere in excess of £10,000,000 plus in lost sponsorship, television revenues and prize money. Involvement in Europe is an attractor for players, and we most certainly need to address a number of areas within our current squad if we’re ever going to be a serious contender – either domestically or internationally – again. And amongst the areas needing attention has to be that of significantly improving our goalscoring. We had a prolific scorer but we let him go, and failed miserably to adequately replace him. Look at the leading Premier League competition… we don’t have a Salah, a Kane, an Aguero, a Sterling, or a Lukaku. If we had a striker of their ilk, we might have a better chance of securing the points needed to qualify for Europe, we actually might have already secured enough points. Now at this point, you’re probably thinking this guy’s off his cake suggesting Everton make Europe next season after the debacle that this campaign has been. But now look at things from another angle, that of our lack of goalscoring and woeful results against the ‘top six’ this season, oh hang on, let’s include Burnley and make it seven. How embarrassing a record is that? No wins, just four draws (two of which were scoreless), ten losses, just seven goals scored and goals conceded at a rate of almost three per game. Of course, those appalling numbers suggest we need as much attention paying to the defence as we do the attack, but no matter how good your defence is, you cannot win a game or games if you cannot score goals. Let me stress, this is in no way a criticism of Cenk Tosun, he’s still finding his feet with the club and probably deserves to still be cut a little bit of slack. However and despite all their valiant efforts this season, not one of the other names leapt off the page as being a genuine goalscoring threat. Of the squad against ‘them’, only Theo Walcott and Wayne Rooney apart have any kind of proven scoring record. We have high hopes for Cenk Tosun, but as yet, he’s not proving deadly like a Lukaku or an Aguero, and we were advised of this by folks in Turkey who happily offered knowledge of his strengths and weaknesses… and who’ve been proven pretty accurate in their assessment of a player they patently admire. There are doubts that young and willing Dominic Calvert-Lewin is a natural sniper, though a top quality coach could surely help him… and there’s the glaring deficiency we currently face. Compare that to the clearly audible groan that went around Goodison when Firmino was pictured on the big screen preparing to enter the action. Now having one prolific goalscorer doesn’t guarantee trophy success as we know all too well from the 85-86 season when Gary Lineker bagged 40 goals in 40 appearances and we were pipped to a league and cup double by ‘them’. The following season with Lineker gone to Barcelona, Everton were crowned league champions for the ninth time with 38 of a total of 73 goals scored coming from Trevor Steven (14), Kevin Sheedy (13) and Adrian Heath (11). 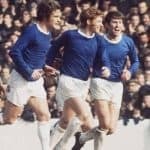 Fans love a hero and a goalscoring hero probably more than most, and Evertonians have had more than a decent share of goalscoring heroes down the years but, fans also want to see their team play well and win and win enough to lift silverware once in a while. Speaking purely personally, I’d like to see a new regime at the club that clearly identifies and implements a style of football that will re-define Everton as the School of Science, and that encourages players in all positions to get in on the goalscoring act in similar fashion to that watched and drooled over back in 86/87. So maybe the question for the much-rumoured incoming Director of Football Marcel Brands and whoever the new manager will be, should be… will he/they look to secure the services of at least one prolific striker or will he/they build a team that plays to a system similar to 86/87 where the goals were spread throughout the squad and opposition defences struggled to cope? Fifteen points? A leopard can’t change his spots and least of all this one. In many ways we have had the best of Sam. Thanks ever so much, here’s the bundle of mullah – we won’t remember you fondly but we are, or will at best feign being grateful – ta-ra. Evertonians have to demand more – or what the heck are we… other than a club in deep crisis and a disconnected fanbase unwilling to demand change for the better. In the end none of the questions we pose can begin to be answered till a new man to pick the team is in place. The sooner that decision is made the better. The current status cannot continue, change has to happen. We need light at the end of this tunnel we’ve been in for far, far too long, and the light needs to be blinding. 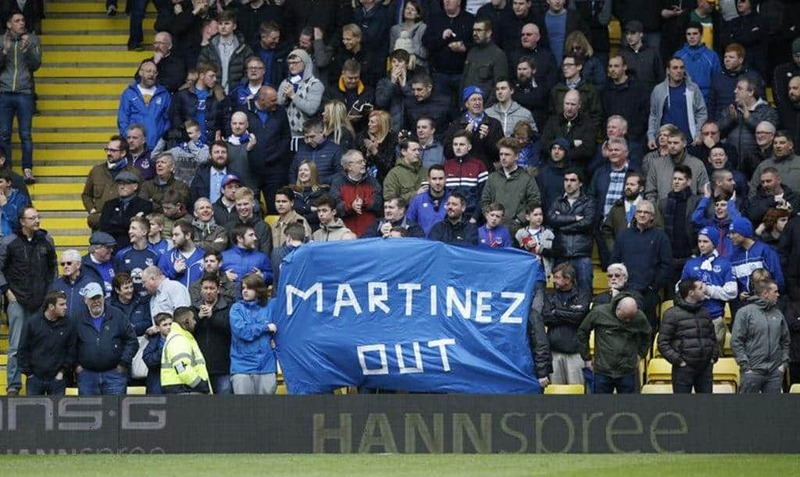 We were disappointed that Martinez proved too stubborn, we were surprised Koeman became and proved so brittle, distant and disconnected so quickly, and it’s sad that David Unsworth seemed to prove Joey Barton’s cruel assessment more right than wrong. We need to get lucky this time round. But then, if you believe you earn your luck, it’s time Everton started working harder to earn some luck. 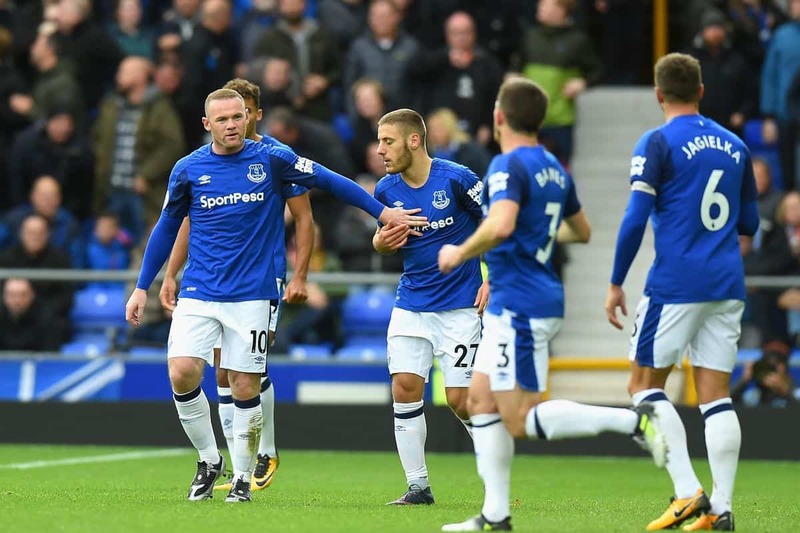 Everton need to define the goals right across the club and implement a plan by which to achieve them. Goals in attracting, installing and empowering the right personnel, goals on the pitch, goals within the business in terms of raising the profile and commercial side of the club, goals in setting targets and achieving them. Nothing less will suffice, now more than ever, we need to act and live by the motto – Nil Satis Nisi Optimum.